As part of Estonia’s centenary programme London Design Festival presents an exclusive multi-sensory installation „Memory & Light“ by Arup, which brings Pärt’s words about light and sound to life in a meeting of design and music. The Head of the International programme of Estonia 100 Jorma Sarv explained that music is a vital part of Estonian culture and identity. „We are delighted to support “Memory & Light”, dedicated to Arvo Pärt, the most performed living composer in the world*. This installation will bring to life Arvo Pärt’s description of his music through innovative design inside the V&A museum. We are immensely proud that this exhibition is part of Estonia’s centenary celebrations,” said Sarv. 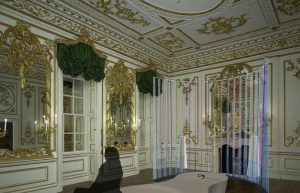 The exhibition is curated by Clare Farrow with Eva Woode in collaboration with Arup specialists Stephen Philips (Product Design), Ned Crowe (Acoustic Design) and Ed Elbourne (Venue Design). A transparent curved screen (made from Perspex® acrylic and fabricated by Talbot Designs) represents the prism in Pärt’s poetic description, alongside a luxurious viewing and listening bench (upholstered in Poltrona Frau’s leather) where visitors can sit to experience the composer’s words and his music: “Spiegel im Spiegel”, “Für Alina”, “Silentium” and “Da pacem Domine”. Speakers by Harman Kardon bring the music into every corner of the space. In 2018, the Republic of Estonia celebrates its 100th anniversary. The centenary programme begun in April 2017 and will continue through to February 2020 to mark all of the most important milestones in the emergence of Estonia’s statehood. 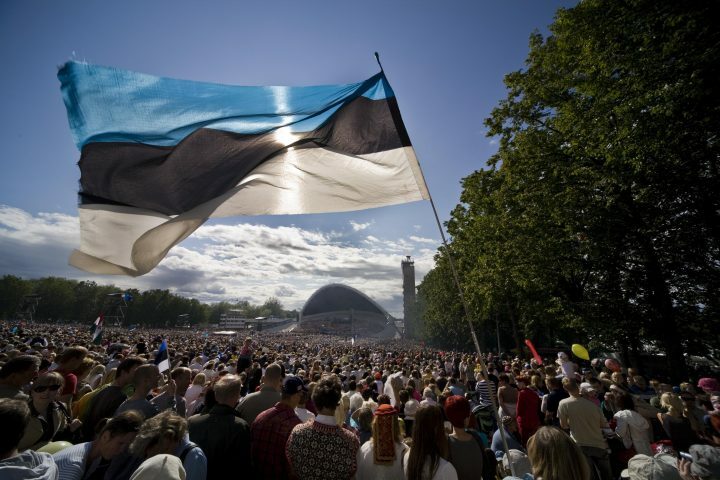 During the centenary year almost 2500 events take place in Estonia and worldwide to celebrate Estonia’s 100th birthday. The aim of finding balance and synergy between the natural and man-made, between old and new, is Estonia’s unfolding story. At the root of things is the connection with pristine nature, at the top is a story of future and possibility through new technology and ways of living.